I enjoy coffee in the morning, afternoon and the evening. Living tiny, you want to reduce the amount of appliances and also give you portable options for when you are camping. 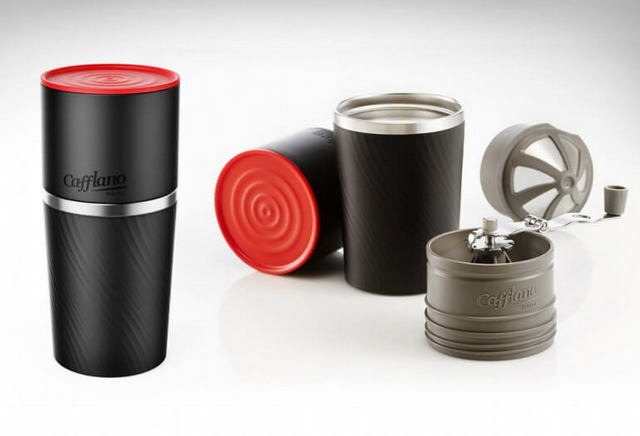 Cafflano Klassic is the world’s first portable pour-over coffee maker making all-in-one design. 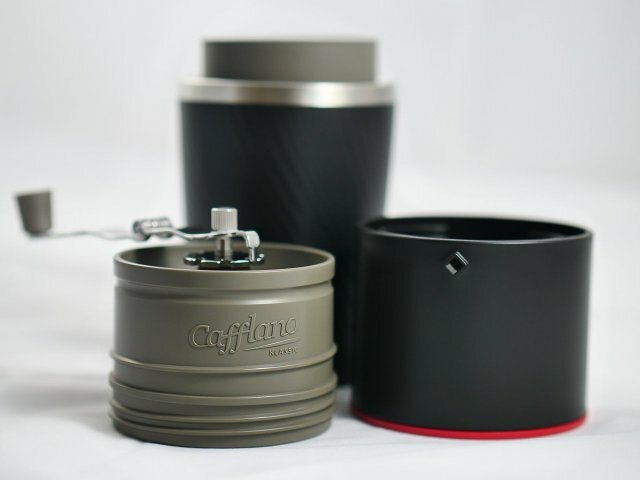 This great little option from Cafflano is affordable and its light weight ensures maximum portability, removing hassle of packing. This is what I’ve decided to use in my Tiny House for making coffee. 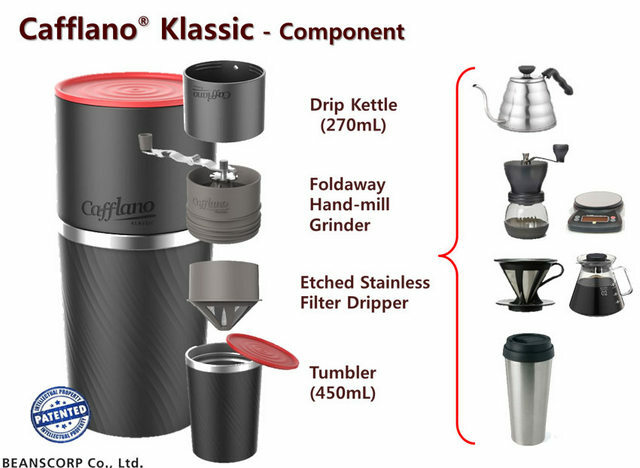 It consists of coffee grinder that has a foldaway conical burr ceramic hand-mill, dripping kettle, dripper, server, etched stainless filter and tumbler, and all of those components are integrated into a single assembling unit. 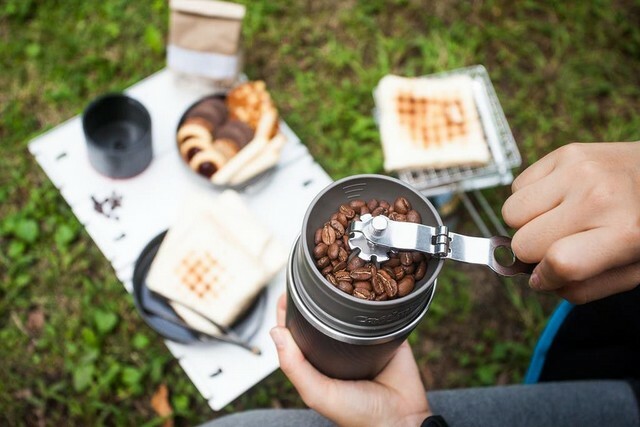 Wherever you are, all you need is some whole beans measured out in advanced and bagged and some hot water you can easily boil even on a trail with a single burner lightweight camping stove… you can easily and conveniently make fresh and tasty coffee at your camp. It is neither battery-operated nor needs electricity, but totally environment-conscious with its permanent etched stainless filter. In Canada you can pick up one at MEC in Toronto. This entry was posted on Friday, June 1st, 2018 at 4:27 am	and is filed under Kitchen Needs. You can follow any responses to this entry through the RSS 2.0 feed. You can leave a response, or trackback from your own site. Feel free to send me a email dan(at)jsdoit.ca or add me to Facebook.